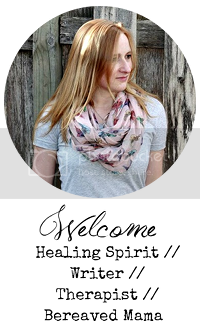 Heidi Faith is the creator of Still Birthday, a resource for those who have experienced any type of pregnancy loss. 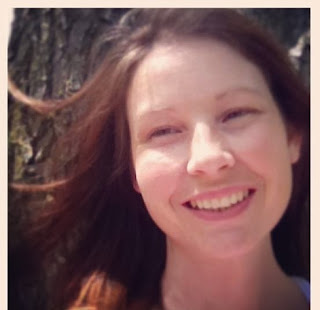 A mover and shaker, Heidi is a trained social worker and counselor who has put her experience to use in the loss community by becoming a clinical perinatal psycho-spiritual therapist and birth support worker and a doula certified crisis pregnancy counselor. Through this experience she has created the Still Birthday Doula Certification program that offers birth & bereavement doula training. With this program she helps many women all over the world learn how to be supportive of other women who experience birth and pregnancy loss. Lindsey: Welcome Heidi! I can’t believe you agreed to interview with me. 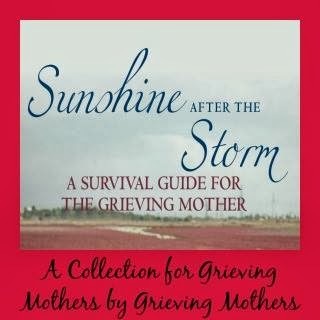 I love your website and all that you do for mothers and fathers who have experienced pregnancy loss. For those of you that don’t know your story, can you briefly tell us about your loss? Heidi: I went in for a 12 week ultrasound scan. When the ultrasound technician placed the monitor on, I could see my lifeless baby bobbing gently in the waters. Just as sure as I was that my baby was not alive, I was sure that God was going to speak life, breathe life back into my baby. I waited, peering into the screen, thinking "Watch this, ultrasound lady! This is going to be the coolest Facebook post ever!" Well, the ultrasound screen went black - and so did my heart. My baby was dead, and was going to stay dead. I really was going to have to walk this impossible journey. And, impossible, it was. Every moment in those darkest days, it is impossible. It is the only word in our language that comes close to what grief feels like. Lindsey: Thank you for sharing and I'm sorry for your loss. You say that from the loss of your child, Still Birthday was born. How did you know when you were ready to pursue helping others and transforming your grief into something healing? Heidi: While there is a part of me that still has no idea what the future holds for SBD, there was a part of me, from the moment the screen went black, that knew that I had a desire to reach through that darkness to grab the next mother's hand. Just one mother, just the next mother, is all my heart really held at that time. My husband had the same desire, which was very important to my heart, but also has been important to the longevity of Stillbirthday. When you are standing on your roof, shouting at the top of your lungs to everyone who can hear, that they are not alone, why, you'd better make sure that you aren't alone either. It was a few months after our baby was born, that I feel I was led to just the right, emotionally and spiritually fertile time, and I committed a pretty intensive week of typing with a fury everything I ever knew about birth in the third trimester, and compared it and contrasted it to birth in the second, and the first, trimester. After a week, I published this thing and sent it out into the universe, and simply asked people - mothers, my sister birth professionals - "What do you think of this?" And the response, from week 1, has been phenomenal. Stillbirthday is little more than validation - a truth speaker. And in the darkness, you long for assurance that your dignity remains and that you are worthy. Worthy of validation, of a shared humanity, of a shared hope, of a shared tear, and of finding - and receiving - healing. Lindsey: Wow! That is so powerful. I also find it so NEAT that the people I am drawn to interview seem to be those with a background in social work as well as unfortunately, having a personal experience with loss. 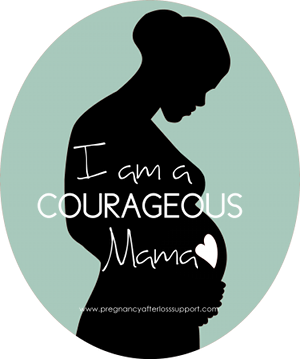 With your clinical perinatal psycho-spirituality therapy and birth support work you have created an amazing Birth & Bereavement Doula Certification Program to teach woman how to be a support to those currently experiencing birth and pregnancy loss. Can you tell us how your Doula Certification Program came to be? Heidi: Seasoned birth professionals, from every US state and from all over the world, aligned with stillbirthday and the Principles of Service I set forth. And the questions came in the droves, "How can we learn more?" "How can we do even better?" I hesitated at the beginning of that particular stretch in the journey, because it meant I was transforming from a bereaved mother reaching other bereaved mothers, which is a sacred place, and I was standing at the threshold of becoming a doula trainer. I didn't want to dilute the magnitude, I didn't want to lose the humility, I didn't want to misplace the honor of what I had been given. Stepping into the place where birth & bereavement meet, for other families, there are few words to describe what this means. Kelly Gerken from Sufficient Grace Ministries first called it Sacred Ground, and it is the only expression I have found that describes this place. But the questions kept coming. And not wanting to do this alone, I rallied a huddle of doulas, midwives, nurses and doctors and asked them to come together to help me create a training to better equip others. 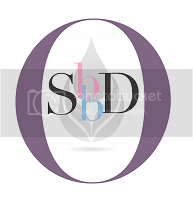 What began as the most affordable, most accessible, most comprehensive combination certification program in birth and in bereavement support, only continually strengthens and remains an academically rigorous and emotionally intensive program that shapes strong doulas. Lindsey: Since part of your job is to teach others how to work with and support bereaved parents in the initial moments of shock and overwhelming grief, what advice do you have for healthcare professionals who provide care to the newly bereaved parent? Heidi: This is an important question, but one I want to answer carefully. I'm just a girl. I'm a mother who gave birth to a baby who is not alive. I don't want there to be any misunderstanding regarding my authority to give advice to medical professionals or experts in their own fields. The authority I have to answer this question is in my own motherhood and in my observation of our collective tapestry of experiences, of the feelings shared by stillbirthday mothers. It is by listening to one another, that we strengthen our own message, one that we may desperately want to be heard. And in answering the question, the advice I have is that there isn't a checklist of tasks to perform for the families enduring loss, but it is extremely important to honor both the birth and the bereavement. It is important to slow down, validate, provide options and supplement resources. Our training explores these concepts and more. Lindsey: THANK YOU for being an Inspirational Bereaved Parent and giving a special gift to so many women and mothers. Not only do they get to be helped and supported, other women get to transform their grief by giving back through your doula program. It was a pleasure interviewing you today. Heidi: Thank you Lindsey for the opportunity to step outside of SBD for a moment to chat with you. We're all in this together and your work is equally important. Thank you, for honoring me today, not just as a colleague but as a sister on this journey of life after loss. You can find Heidi at her resource website StillBirthday and on Facebook. Among all the amazing work Heidi does she also has found time to write her first book, “The Invisible Pregnancy: Giving Birth to Healing”. You can find her book on Amazon and her webpage. If you would like to sign up for her Birth & Bereavement Doula Certificate Program you can do so by clicking here. What a beautiful website...and a fabulous interview about our amazing Heidi Faith! Love all the work you do, dear Heidi, and your tireless advocacy for bereaved parents. So proud to call you friend!